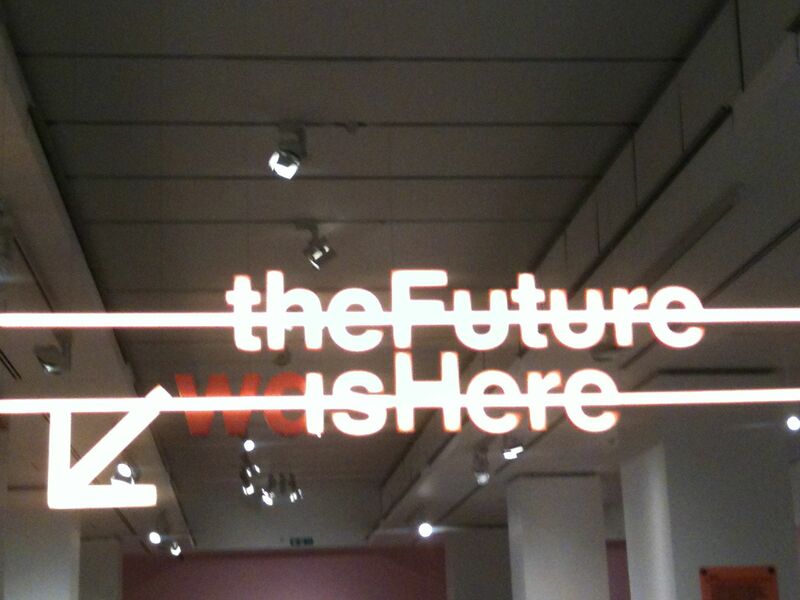 ‘The Future is Here’ exhibition at the Design Museum (24.07.2013-29.10.2013) explores the relationship between designer, manufacturer and consumer. The traditional boundaries defining the relationship are changing with the advent of 3D-printing, crowd sourcing, distributed manufacturing. The exhibition looks at how this new industrial revolution is transforming the way we make, design and use objects. And how we unmake objects in a world of finite natural resources. New technologies and approaches have the potential to improve efficiencies in consumption and make more of our scarce resources. One example close to home illustrated in the exhibition is furniture design and manufacturing company, Unto This Last, whose “purpose is to offer the convenience of the local craftsman’s workshop at mass-production prices”. Based in a workshop in London, the company makes furniture to order, using digital tools. All the products are made from the same birch ply composite with software optimising the use of each sheet to reduce waste and avoid industrial fittings. To find out more about how the things around you are made, and the how that might change see the exhibition before it goes…..